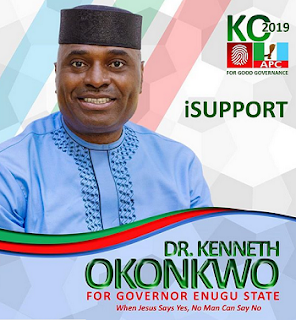 Kenneth Okonkwo has unvieled his poster for the forthcoming Enugu Governorship race. ''Without God I can do nothing but with Him I can do all things because He strengthens me. Join the wining team. 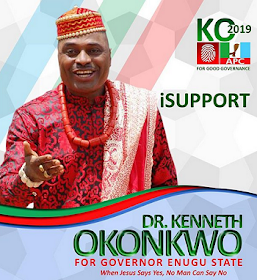 By the grace of God, I am the next Governor of Enugu State'', he wrote.